Oddly the only “-stans” that form part of the Empire are the two Donald Technic omitted, Basicstan and Paradistan. Two regions in the Federation of Legopolis, Ancarta and Al Babwa were also included on the “bad dude” list. 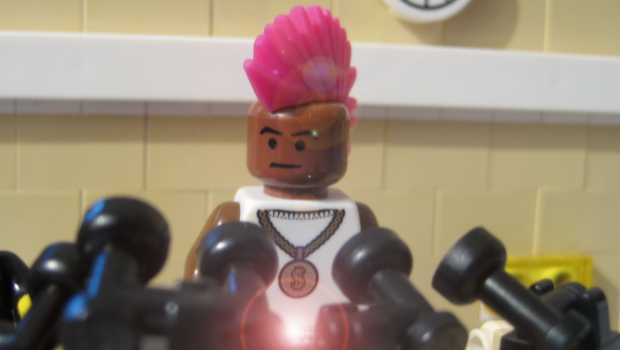 UPBR president Donald Technic has announced an all-out travel ban on minifigs from 4 countries in a bid to stop “bad dudes” from entering the UPBR. 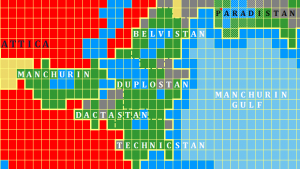 In yet another startling display of recklessness, the recently elected Technic painted the entire populaces of Technicstan, Duplostan, Belvistan, Dactastan as criminals. Ensuring the opportunity to propagate another erroneous fact did not go amiss he also incorrectly described the 4 independent countries as mere “regions of the Empire of Legoland”. This did not go down well in the Manchurin Gulf states. Leaders of these “bad dude places” responded to the news with a collective sigh and a joint statement confirming reciprocal measures will be enacted on UPBR figures attempting to enter or pass-through their territories unless the travel ban is lifted by Monday 13th March. 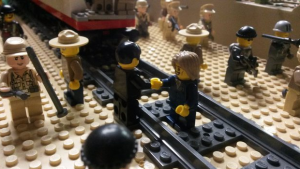 The UPBR-Legoland pipeline would see pipes laid from the Empire’s Manchurin province through Duplostan and Belvistan to the Empire’s province of Paradistan. Of most concern to the Legoland regime is not the hurt feeling of neighbours but rather the potential threat to the UBPR-Legoland oil pipeline, a key strategic goal of Davidium. Sections of what would become the world’s longest pipeline are currently being laid in Duplostan and Belvistan and rely on the agreement of Block of Duplo and Grepos. The Empire has therefore moved quickly in an attempt to ease tensions. The UPBR’s diplomatic representatives in Davidium have been summoned to convey to Donald Technic the concerns of the Council that deteriorating international relations is bad for business. Hopes are pinned on Technic listening to this advisors and rolling-back on the ban for financial reasons if nothing else. Not to let Technic get off scot-free the Technicstan Premier Dew Dewbarb questioned Technic’s own family-tree and queried whether or not he himself was descendants of ancestors from “bad dude places”. Anti-UPBR protests are expected to be held in the cities of Grepos, Block of Duplo, Mara Mora and Dactad over the coming days.